New research out today reveals what most of us already know, that nearly a quarter of mums (around 1.7 million of us) buy and wrap our own presents from our children and/or partner to give to ourselves on Christmas Day! 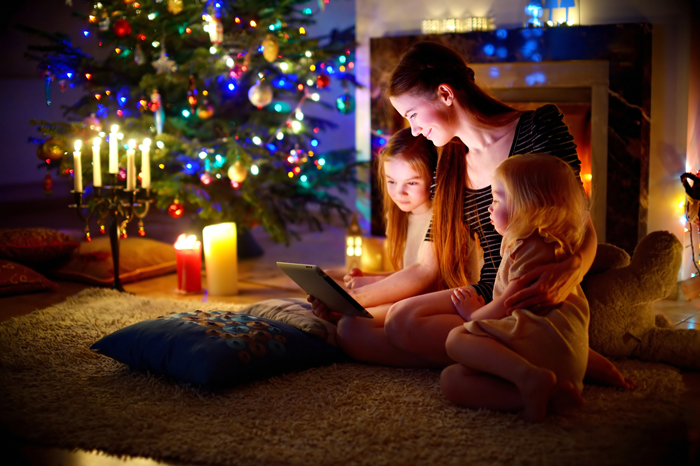 The survey, conducted by Argos and YouGov, also revealed that 31% of mums start preparations for Christmas before October and more than half of mums buy between 11 and 50 presents in total. On top of this nearly one in five mums (19%) spends more than 24 hours in total shopping for Christmas presents, which is why many say they find Christmas shopping and Christmas itself a tiring experience. These are just some of the reasons why I am all for ease on the Christmas shopping front. I don’t know about you but since having kids I now do all my present buying online. And while this does mean I miss out on the excitement of Christmas shop displays and sparkling lights, it also means I don’t have to chase two small children through busy shops, shouting ‘No’ and come home feeling 100 years old. By comparison online shopping is for me an oasis of calm. Not only can I do it alone (hurrah!) but with a glass of wine in my hand. Plus last year totting up what I spent I saved in total a whopping £150 on all my gifts. So if you’re currently feeling under pressure or have yet to start Christmas shopping like me, here are my best tips for online Christmas present buying: 1. Do it early or else the post will let you down. 2. Shop at places that also offer check & reserve online and also the option to pick up presents on the same day. Both Argos and Tesco do this. 3. Shop around, prices vary hugely online but always factor in delivery charges before working out if you have a deal or not. 4. Shop from reputable places that aren’t likely to go bust before Christmas. 5. Make sure there is a customer service number where you can speak to a real live person before you hit ‘buy’. 6. Do it via KidStart and make money for your kids as you spend. Does anyone else have any lazy mum online shopping tips? Let me know.